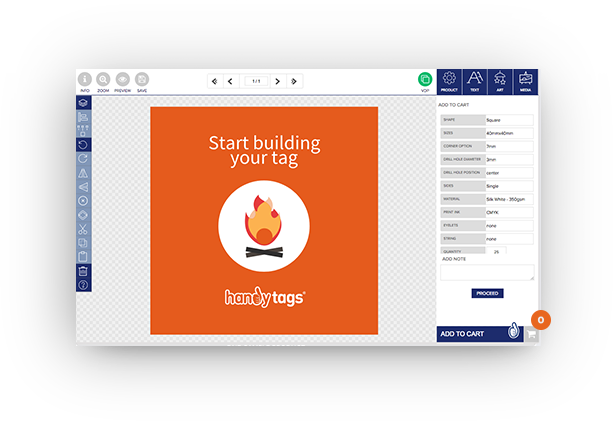 If you are new to Handy Tags, simply click register and we'll ask you for a few details. 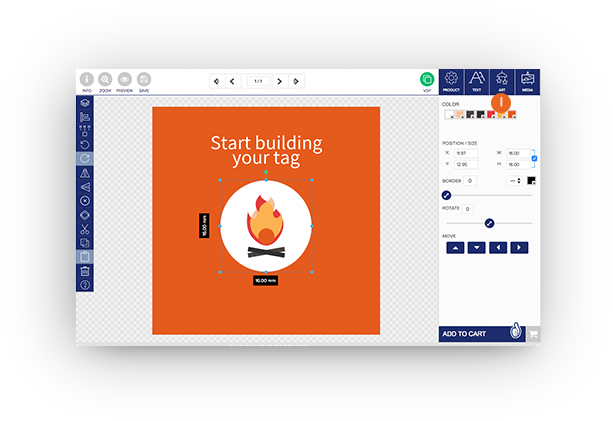 The Layer Panel will show all of your tag design elements. 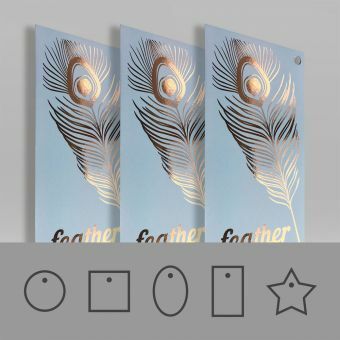 Clicking the eye icon will hide the layer, the lock icon will prevent the selected element from being altered when applied, and clicking & vertically dragging the arrow icon will change the order of the layers. 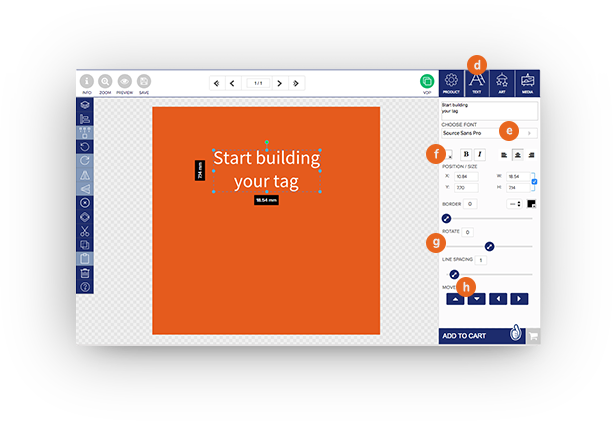 You will be able to automatically align objects to the page, cut margin or safe margin. Each option will align the object to a different position. 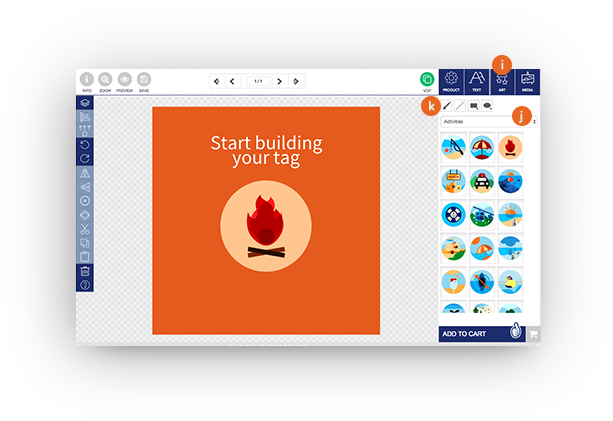 When stock artwork is added to your tag, it will be composed of different elements which can be ungrouped by clicking this icon. 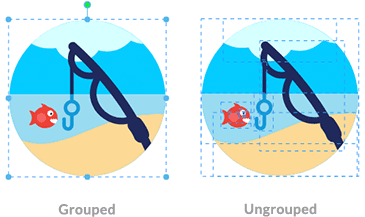 The Undo icon will simply take you back a step from your last change, which is handy if you make a mistake! Clicking Redo revert the Undo action. Clicking these icons will mirror the object either horizontally or vertically. Clicking will delete the selected object. Clicking will duplicate the selected object. Clicking will remove the selected object, but allow you to Paste in another location. Clicking Copy will copy the selected object, and then following with Paste will place it on the page. 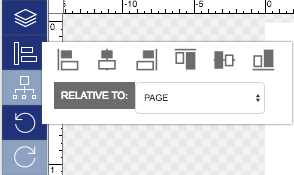 Clicking will clear the entire page, so you can start again with a fresh canvas. If you’re having trouble, click below and our team will be able to assist you. This will show your tag information. 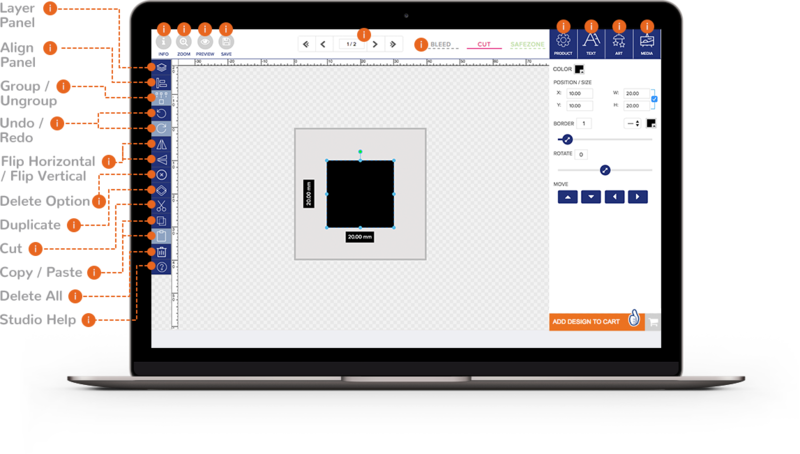 You can choose whether to zoom in / out, or fit to screen, selection or canvas. Here you can see a preview of your tag. 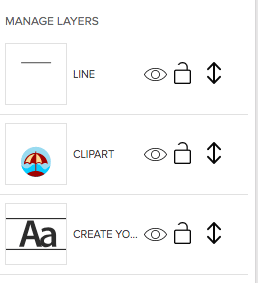 You can Save your tag design into your artwork library here, after logging in or creating an account. 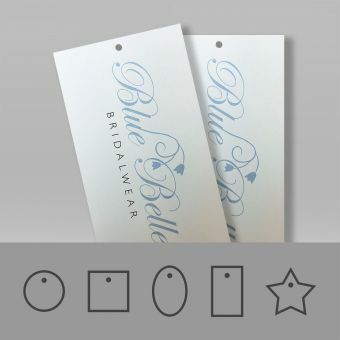 If your tag has multiple sides you can easily switch between them using these arrows. 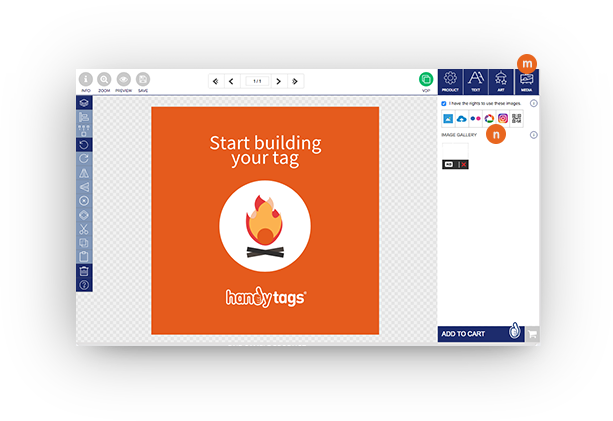 This tab will show the size and number of sides of the tag, with the option to change the background colour or add an image. The toggles at the top will show / hide the grids and guides. 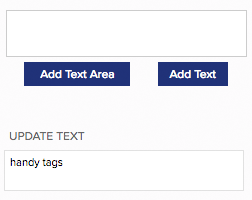 Type your text in the area and click Add Text to place it onto the tag. Alternatively you can click Add Text Area, which will create text box. This is useful when you want to add a few lines of text. Text layers can be updated by clicking into input field and changing it. Here you can add shapes and graphics. 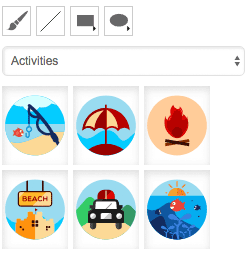 Click the dropdown to browse a range of graphics to add to your tag. You can upload your own images via any of methods shown. Once an image is uploaded it will be shown in your Gallery. The Bleed gives the printer a little more space to work with when cutting. It is recommended that your background colour fills this space to avoid having white edges when cut. 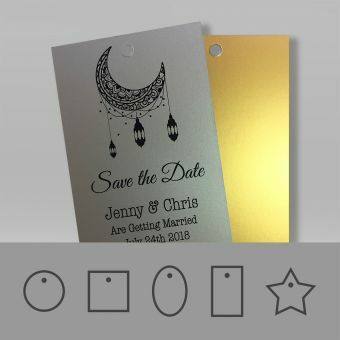 The Cut line indicates where the printer will cut. This will be the edge of your design. 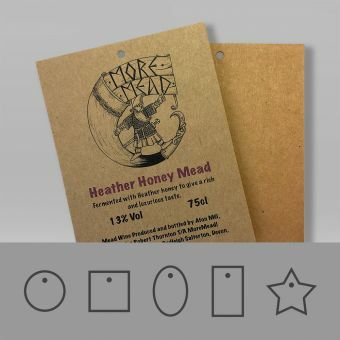 We recommend that you keep your design within this space, just to make sure it doesn’t get cut off when printed. 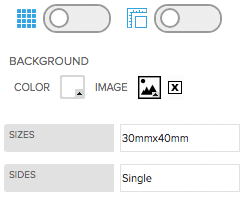 The Design Tool will show your tag in the centre with a white background and your Layers tab to the right (which will be empty to begin with). Click the Product tab (a) to get started. At the top of this section you will see two switch options (b) - these will allow you to enable / disable rulers & grid. The background colour can be changed by clicking the dropdown (c). 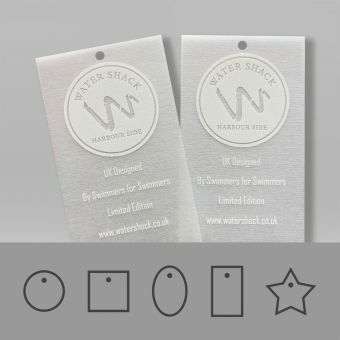 Once you have picked a background colour, you can start adding some text to your tag. Click the Text (d) tab and start typing in the box. 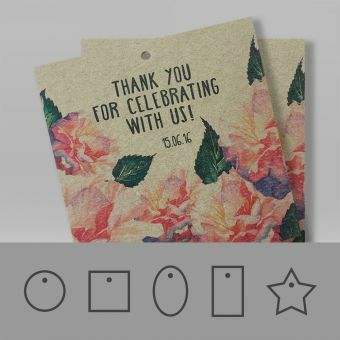 Then click “Add Text” to place this onto your design. 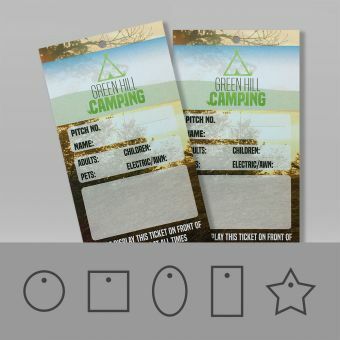 When you click the text on the design, a tab will show on the right with various customisation options. You can choose from a range of fonts (e) by clicking the dropdown. The text colour and alignment options (f) can be changed, as well as being able to make the text bold / italic. You can rotate, and change the line spacing of the text using the the slider bars (g). 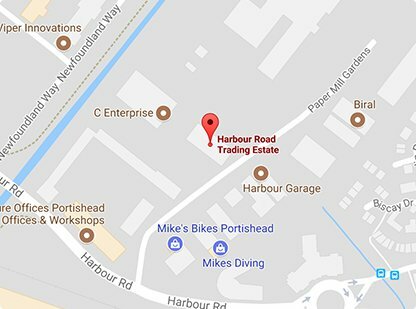 Text can be moved by clicking the arrows (h) or by selecting and dragging it. 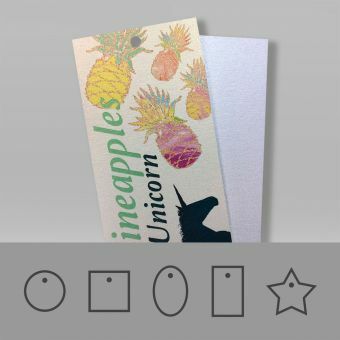 Clicking and dragging the corner points on the text will allow you to resize. 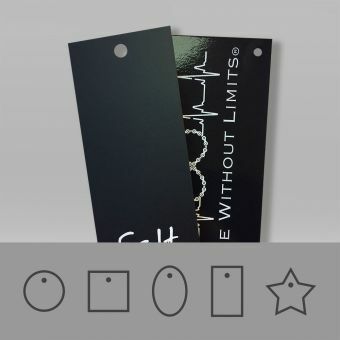 Choose from a wide variety of graphics to add to your tag. Click the Art tab (j) and browse the list of graphics. Click the dropdown (j) to view all categories. 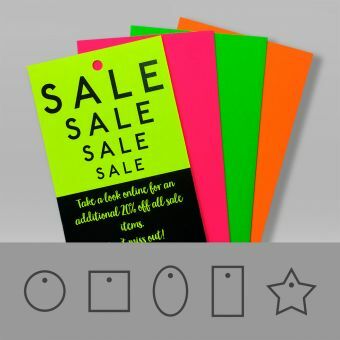 You can also add simple shapes like lines, ovals and squares by selecting them in the top dropdown (k). 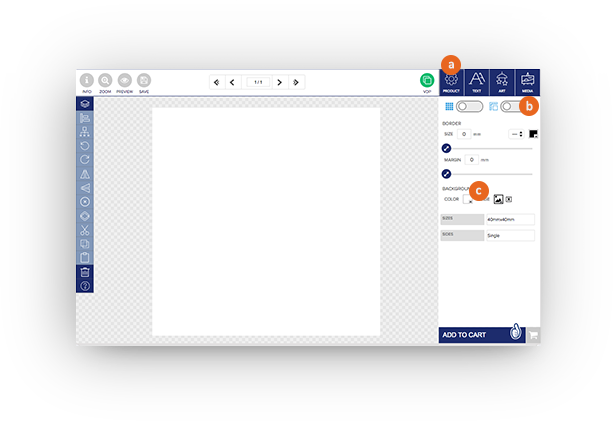 If you’d rather draw your own design select the brush from this menu and draw on the tag by clicking and dragging your mouse. Selecting and dragging the corners of the object will resize it, in the same way it does with the text. In some graphics you are able to edit the colours using the swatch dropdowns (l) at the top. Other edit options are also available such as adding a border, rotating the object and changing the size. Clicking the Media tab (m) will allow you to upload an image from your device, Instagram, Flickr etc. When uploading an image make sure you have the rights to use it and click the checkbox if so. Uploaded images will preview in the Image Gallery (n). To upload an image simply click any of the upload options and browse. The supported formats are JPEG, JPG 3 and PNG, and the recommended resolution is 1500 x 1500. Step : You're Good to Go! 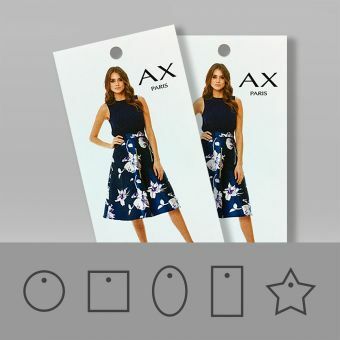 When you’re happy with your tag click the cart button (o). You will be able to review the details of your item and then proceed to checkout. 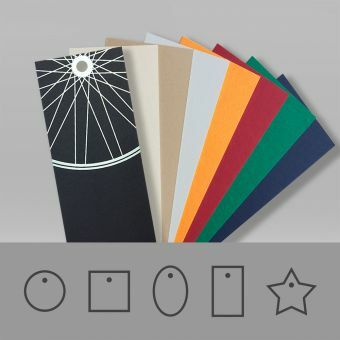 So if you want to get designing, first choose a material below, select your options and then Design it Yourself!